Smt. Shantaben Haribhai Gajera Engineering College provides personality development training by expert and highly qualified faculties. Personality development is the process of developing a set of characteristics and traits which contribute to the overall personality of a person. Personality development is often confused with enhancing your dressing sense or just gaining proficiency over English language. A person who dresses well and speaks fluent English isn’t necessarily supposed to have a good personality. Personality development is an all round development. Confidence is certainly the most important factor which adds to the personality of any individual. A person’s confidence might go down due to mistakes, failure, guilty or any other thing which is undesirable. Some people often develop inferiority complex due to their physical appearance, caste, financial status etc. Such people perceive confidence as their weakness, while the truth is that confidence is an individual’s biggest strength. Your confidence reflects your character, attitude and passion. You should be confident about who you are and whatever you do. Being confident will help you to express yourself and stand amongst the crowd. The way you speak reflects who you are. Be polite and gentle with your words. Use decent words while interacting with everyone. Always think before you speak. English being globally accepted is preferred everywhere. So work on your English proficiency by listening to English news, reading English newspapers and magazines. Always use simple words general interactions. Dressing sense means the general sense about how you should dress up for office, party or any other occasion. A person should therefore wear according to the situation and according to how well the attire suits him/her. Good looks no doubt will add to your personality but what matters the most is how you are dressed up. Even a 5’4 guy with a dark complexion can have a good personality if he knows how to carry himself. Dressing sense thus plays a major role in personality and confidence development. Always follow your passion and do what interests you. This will not only help you to grow as a person but will also add to your confidence. Be passionate about your work. Make sure that you give your best in whatever you do. This will add to your growth and strengthen your self confidence. NEVER miss a chance to prove yourself. Body language plays an important role to judge a person’s confidence and personality. Try to make use of positive gestures while interacting with others. This shows that you’re at ease while having a discussion. Studies reflect that 75% of our communication happens non-verbally. Your gestures thus play a vital role while interacting with others. Man is a social animal. Every individual has to interact with a group of people one time or the other. Being shy or introvert is the least desirable characteristics in any individual. Always stay updated with the current affairs and what is happening in your society. Try participating in group discussions and seminars. This will help you to be more open and adjust amongst a group of individuals. A good leader is believed to have a good personality. Leadership skills do not mean how well you give orders to your subordinates. It means how well you can manage your subordinates to accomplish a particular task. Work harder to set an example to your subordinates. Express yourself and always do as you say. Have a positive outlook towards everything. Nobody wants to be around a person who is negative and complaining all the time. Nobody wants to work or live with a pessimist. When you face a failure, let go of the assumption that you’re the unluckiest person alive. Use positive statements like “I can do it”, “I always have a choice” etc. Expect good things from the future. Be an enthusiastic listener. Listening is a very essential part of communication. This will help you to see things from the eyes of others. Mental presence is a must to be good listener. Try to get away from any possible distraction while talking to your family members, friends and co-workers. Ask questions to let the other person know that you were listening to him/her. 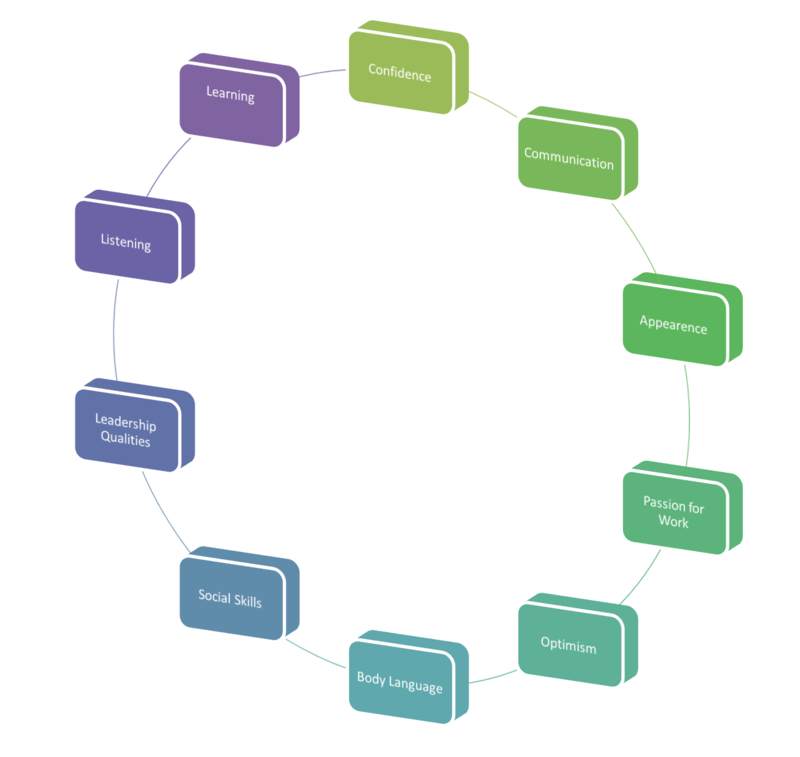 Good learning skills in an individual are highly desirable. You should always have the zeal to learn new things while at work. This reflects your enthusiasm. Don’t let yourself repeat the same mistakes. Learn from them. Everyone makes mistakes, but learning from them is the best one can do. Working on the above mentioned characteristics will help you to be entitled as a person with a good personality.